Delta Smart comes with three attachment bands to fit on any collar size. It's made of a durable material, water-resistant up to 1ATM (splashes and rain/snow, but no swimming), and its battery lasts up to three weeks, so you won't have to pug it in frequently to charge. 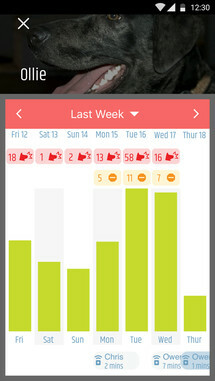 And it uses Bluetooth Low Energy to transfur the data over to the Canine app on Android or iOS. So what exactly is the Delta Smart's purpaws? 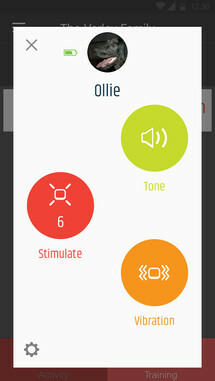 It lets you actively or passively train your dog and helps him manetain the right behavior even when you're not home. You can use corrections like vibration, tone, and 10 different levels of stimulation to eliminate bad behaviors whenever their telltail signs creep up. 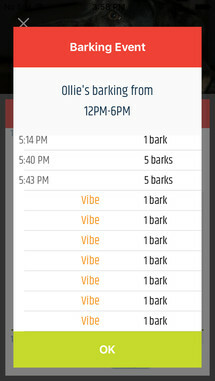 When you're not around, it monitors barks up to a certain acceptabull number that you previously set and then engages the correction. 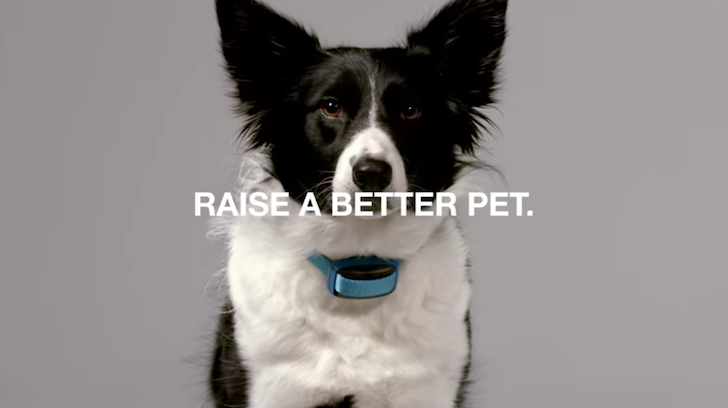 It can also detect Garmin's Keep Away tags (sold separately) that you place near objects that you don't want your dog to approach, and also uses correction to force him to stray away from them. Basically, it will train your dog until mundane things no longer exacerbite him that much. Whenever you get home, the app syncs back to your phone and gives you all the feedbark that you need on your dog's behavior during the day, including activity levels, resting times, barks and corrections, training, and anytime he got near a Keep Away tag. You're then free to rain all the treats if he had a weiner attitude, or leave him with a regular meal if we was a bad boy when you were gone. You can say the Delta Smart tag and Canine app have everything to train your dog but the kitten sink. Doggamn it, I swore to myself I wouldn't make that pun!